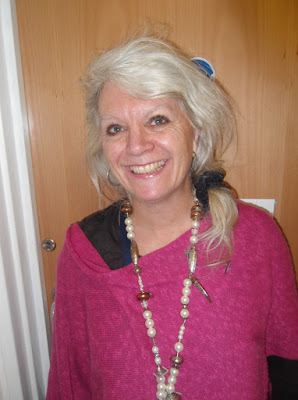 My name is Barb Crowther and I am interested in becoming a Governor at Garsington C of E Primary School. I have been supporting families in the area and at school for the past two years and have built up a good working relationship with staff and families. I would like to continue this work in a volunteer capacity and feel that my experience with Early Years and Special Needs will be supportive for the school. When my children were at Primary School in Headington, I was an active member of the PTA, having the role as Chair of the PTA and Head of the International Parent Support Group. For two years I was a member of the parent support group for diabetic children. I am a keen community person and feel that I could be a valuable member of the group. I have an Early Years background and have been involved in working with <5s for the past fifteen years in roles at both Nursery and at Children’s Centres. I have also been an Interactive Play Facilitator for Autistic children supporting children in their own home environment. I have worked alongside and with a variety of partner agencies including social workers, health professionals, nurseries, pre-schools and primary schools in the area. Whilst I have lived in the UK for 30 years, I originally come from Canada. I have a Modern Languages Degree and a Bachelor of Education in Primary from two Canadian Universities, Mount Allison University in New Brunswick and University of Toronto. My partner, Nick and I, live locally and we have a large blended family. When I am not at work, I am a keen gardener, enjoy cooking, sing in a local choir, swim regularly, and sew vintage garments for my grandchild!